Dr. Susan J. Crockford is a zoologist with more than 35 years experience, including work on the Holocene history of Arctic animals. Like Ian Stirling, Susan Crockford earned her undergraduate degree in zoology at the University of British Columbia. Polar bear evolution is one of Dr. Crockford’s professional interests, which she discusses in her book, Rhythms of Life: Thyroid Hormone and the Origin of Species (see www.rhythmsoflife.ca and www.pacificid.com). Polar bears and alarm over the future of Arctic sea ice: a book review. For those of you looking for a polar bear book, I suggest you read this first. In contrast to Ferguson’s benign and somewhat fawning overview, my impression of the book was quite different. Stirling uses his expertise as a senior polar bear biologist to inspire readers to trust his own acceptance of the dire predictions on the future of Arctic sea ice made by researchers in other fields. Stirling’s aim is that readers heed his take-home message (pg. 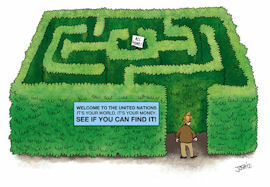 306): “it is vital that all humans and their respective governments use whatever time remains to help reduce greenhouse gas emissions sufficiently quickly to ensure that both sea ice and polar bears persist for our children and grandchildren to marvel at.” But can Stirling’s professional opinion be trusted as scientifically unbiased on this matter? I found in the book at least two instances that indicate to me that Stirling’s opinion on this matter is unreliable. The first example is Stirling’s discussion of polar bear mortality events that took place in the Eastern Beaufort Sea from 1974 to 1976 (pg. 207), several chapters prior to the one on climate warming. Young ringed seals are the primary prey of polar bears. Stirling recounts that in the springs of 1974 and 1975 (and to a lesser extent in 1976), ringed seal populations in the shorefast ice dramatically declined and seal pup production fell by 80% or more — and as a result, survival of polar bear cubs “plummeted” (numbers not given) and many polar bear females were found in extremely poor condition (i.e. very thin). However, Stirling leaves out of this account one critical detail — that 1974 and 1975 were winters with especially thick ice development. He also leaves out of this discussion the fact that very similar polar bear mortality events, 2-3 years long, occurred again in the 1980s, the 1990s and probably the 1960s, and that these were all cold years with heavy ice (Stirling and Lunn 1997:178; Stirling 2002:68-69). While the repeated heavy sea ice conditions and cold are discussed in Stirling’s scientific papers regarding these events, these details are left out of the book. Why does the book present the events so differently? The answer is apparent once you get to the climate warming chapter. The 1980s polar bear mortality event does get a mention here, on pg. 285, but in the context of a discussion on progressively earlier dates of sea ice breakup over time. This juxtaposition gives readers the impression that the dramatic ringed seal and polar bear population declines of ‘74-’76 and ‘85-’86 were the result of too little ice (rather than too much), without saying so explicitly. This audacity of this misdirection is breathtaking. 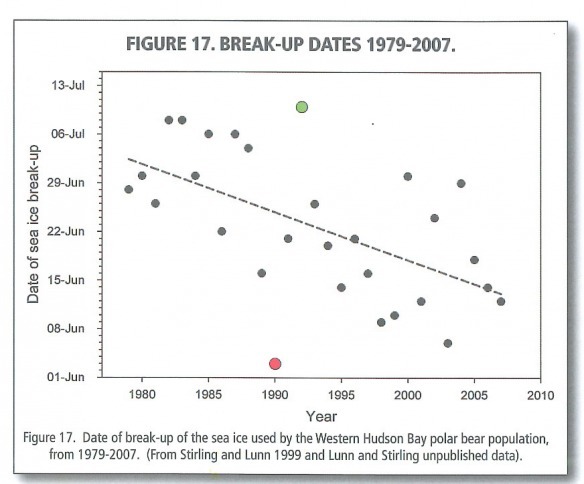 The second example is the discussion of break-up dates for Hudson Bay, which are used by Stirling in his climate warming chapter to make a case for correlating declines in polar bear numbers, and their physical condition, with declines in sea ice and increased temperature. Hudson Bay freezes and thaws completely every year: the bay begins the freezing process in the fall (called ‘freezeup’) and melts completely by the end of summer (called ‘breakup’). The graph of breakup dates Stirling provides (Fig. 17, pg. 284) ends in 2007 (see below). Really? For a book published in 2011? What about 2009, for example? In 2009, the Port of Churchill (on the west shore of Hudson Bay, 580 4’ N 094010’ W), did not open until Aug. 12, three weeks later than the average opening date for the port (July 21) and the latest opening date since 1974. This fact was reported in newspapers around the world at the time. Adding the very late date for 2009 would almost certainly have had more than a minor effect on the downward-sloping trend line on the graph Stirling presents for Hudson Bay breakup dates, which Stirling appears to have generated himself. Such breakup dates for the bay are calculated in a complicated fashion (based on data generated by the Canadian Ice Service, see Scott and Marshall 2010), so the opening date for the Port of Churchill will not be identical. Nevertheless, there is no getting around the fact that ‘breakup’ for Hudson Bay was exceedingly late in 2009. [I’ve looked for an updated version of Hudson Bay breakup dates that include 2009 (even contacting authors of previous reports) but it seems that no one has yet calculated this value.] Stirling does bring up the ice conditions of 2009 in his climate chapter, but only in relation to the late date of freezeup that fall — he leaves out of his discussion any mention of the very late breakup phenomenon earlier in the year. If the case for progressively reduced Arctic sea ice due to “climate warming” over the last 35 years is so strong, why are these contortions of fact necessary? In my opinion, the phenomenal scientific information Stirling conveys on the life history of the polar bear and his balanced account of the history of its conservation is irrevocably marred by these examples of biased presentation of events and data. With this book, Ian Stirling has broken my trust in him as a scientist. What could have been an outstanding reference book capable of wowing readers for generations with spectacular photographs and informative anecdotes is spoiled by Stirling’s willingness to leave out critical facts to make his advocacy statement appear better supported. Stirling’s attempt to dupe naive readers is contemptible and makes this book a shameful example of what the fear of global warming has done to science. Ferguson, S.H. 2012. 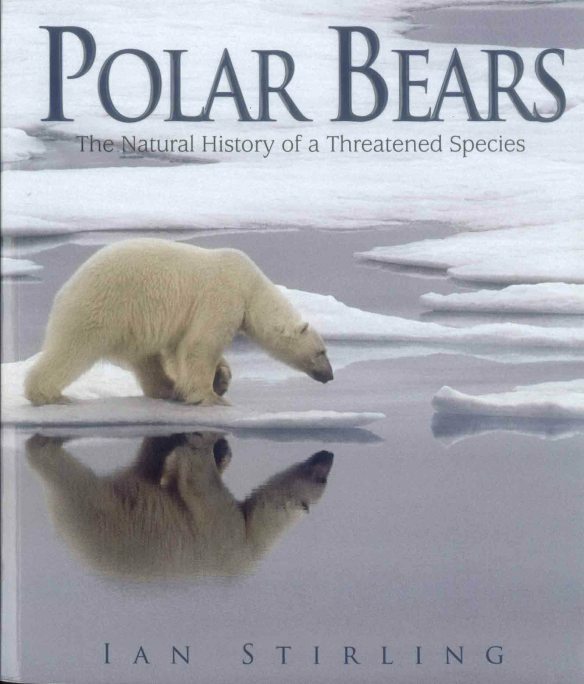 Book review: Polar Bears: The Natural History of a Threatened Species, by Ian Stirling (2011). Arctic 65:107-108. Scott, J.B.T. and Marshall, G.J. 2010. A step-change in the date of sea-ice breakup in western Hudson Bay. Arctic 63:155-164. Stirling, I. 2002. Polar bears and seals in the eastern Beaufort Sea and Amundsen Gulf: a synthesis of population trends and ecological relationships over three decades. Arctic 55 (Suppl. 1):59-76. Then came the picture of the book, at first I thought it was being recommended (maybe reading too early on a Sunday morning) and what followed seemed a bit surreal. Then I “got it.” I do have a question, are there any polar bear books you do recommend? re: other polar bear books to recommend. Keep in mind that Stirling is the grandaddy of polar bear biologists and has had a huge influence on virtually everyone working in that field: since the 1970s, he has been either a teacher or co-researcher of almost all of them. Hard to see how any polar bear researcher could oppose the stance Stirling has taken and expect to continue in the field. These days, writing a book about polar bears without mentioning the gloomy predicted future might be perceived as heretical. Would any of them dare? That is why what Stirling has done in this book is so shameful. An interesting and thoughtful review – thanks. It’s very ironical about the connection between thick ice and seal/polar bear mortality, something that hasn’t really been dwelt on much in the media. And your question “why are these contortions of fact necessary?” goes to the heart of the entire man-made global warming debate, and is one of the reasons why I became a sceptic in the first place. If the evidence is convincing and can stand up by itself, why on earth the need to resort to devious tricks? As I said, the info about the dramatic negative effects of cold winters/heavy ice is there in the academic literature but in my opinion, not emphasized enough. Certainly, to my knowledge, it has not generated a press release – please correct me if I’m wrong. It could be that over the last 40 years, more bears have died due to thick ice than to early breakup/warm springs – I don’t think anyone knows for sure. The point is that Stirling, in a book meant for non-scientists (including children), not only excludes this information but presents the events in such a way that they are likely to be interpreted as evidence of warming. The complement to the Big Lie is the Blizzard of Lies. The more eyes the better, thanks. Pingback: Chris Skates | Of Polar bears, polemics and….warming? Dr. Crockford suggests dishonesty because the graph extends to 2007 only. Extending it to 2009 appeals to her because she thinks that the break-up date for 2009 will be above the curve. But she doesn’t actually have or mention the break-up dates for 2008, 2010, 2011 or 2012 and so is indulging in the same data-selection bias of which she accuses the book’s author. If we look at the Hudson Bay sea ice area (not the same as break-up dates, but surely related) in the following link, we see that 2009 was perhaps different from surrounding years; winter 2010/11 sea ice area was particularly low. Accusing someone of lying in order to destroy his reputation is a well practised ‘sceptic’ ploy. It demeans the author of this piece. Stirling does bring up the ice conditions of 2009 in his climate chapter, but only in relation to the late date of freezeup that fall — he leaves out of his discussion any mention of the very late breakup phenomenon earlier in the year. Furthermore, nowhere in her review does she accuse Stirling of “lying”. So on your behalf I shall apologize to Dr. Crockford for this unfounded accusation on your part. And I would strongly suggest that you refrain from making such accusations in the future. I would also note that your description of such an accusation as a “well practised skeptic ploy” is equally baseless. Exactly, you quoted the right bit. She mentions 2009 but not 2008,10,11 or 12, as I said. She mentions 2009 because she happens to know/think that it did not follow the recent trend. Dr. C says, “Ian Stirling has broken my trust in him as a scientist”. That looks very much like an accusation of dishonesty. How do you interpret it?